The expressive force of materials that enhances the modern appeal of the living room to the maximum. 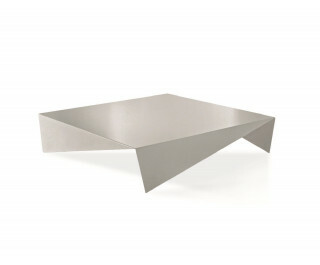 Voilà, an original coffee table, emphasises instead the interest in its geometrical structure. It is in mat painted metal, available in white, anthracite grey and dove grey.